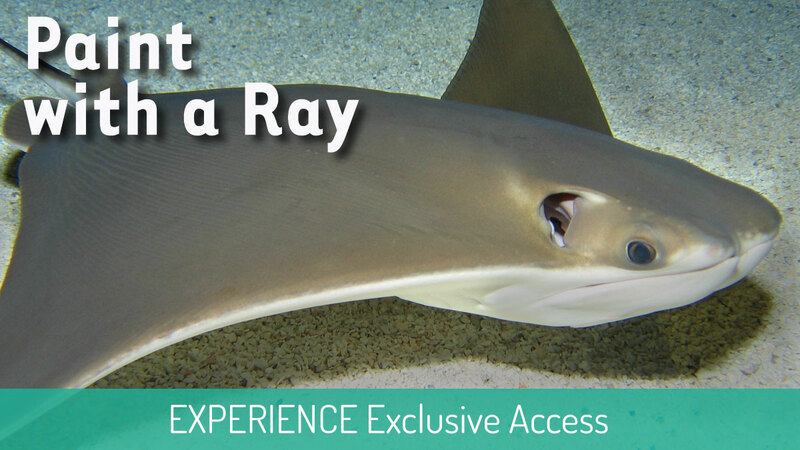 Step into the Ray Touch Tent and help our staff during a private feeding and enrichment session. Through the use of a specially-crafted tool, the attached paintbrush will move as the stingrays below eat during this stimulating enrichment session. Participants will achieve a better understanding of stingrays all while creating a one-of-a-kind piece of art for your family. Fee is per family (8 guests maximum); must be at least 6 years old to participate in the painting portion of the encounter; children ages 12 and under must be accompanied by a paying, participating adult. Please Note: Children under 5 years old can enter and watch the program but cannot participate.